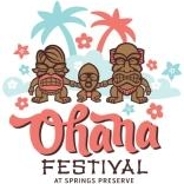 The Springs Preserve will celebrate the music, food and culture of Hawaii and Polynesia at the inaugural Ohana Festival, Saturday, May 18, from 10 a.m. to 4 p.m.
Highlighting the importance of ohana (family) in Pacific Island cultures, the event will feature performances by local hula halau, crafts and games for the kids, and plenty of great food.The festivities will culminate with a concert by the multi-faceted Kalama Brothers. 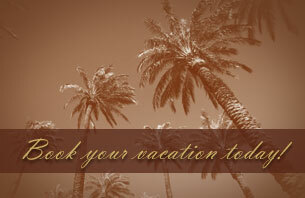 Visit springspreserve.org for additional information. We stayed in room1112, Do Not stay here if you want to sleep. Loud noise from the Disco next door from midnight and various times until 7 am.the staff said to wait till after the weekend and things would be ok? It was but 2 nights paid for without sleep, it that good enough? I’ve stayed in resorts like the Wyndham and Hilton Vacations where facilities are as good if not better, but not the noise. They know about the disco but do not tell clients? The staff at reception were not the most helpfull. Thank you for your comments. We apologize for our noisy neighbors and your inability to rest. The events held on the Cosmopolitan pool deck do present a challenge for our guests at times. We have requested repeatedly to be made aware of the events so we may inform our guests to no avail. We are disappointed to learn that you felt that reception was not helpful. Our policy is to offer to move guests to the Derby tower away from the events as this is the only offer that is within our power for this type of situation. For the most part the Jockey Club is a very quiet property and usually any noise challenge comes from either the Bellagio or the Cosmopolitan.